Description: Cruise ship rear deck and hot tubs, pan. Ocean wakes. 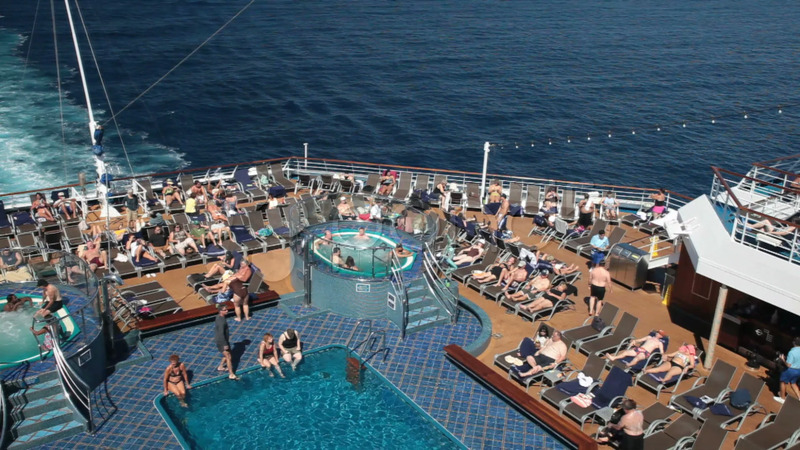 Passengers on vacation enjoying the warm outdoor air of the Pacific Ocean between USA and Mexico. HD 1080 video. Don Despain of Rekindle Photo.